Product prices and availability are accurate as of 2019-04-20 13:41:08 MDT and are subject to change. Any price and availability information displayed on http://www.amazon.com/ at the time of purchase will apply to the purchase of this product. 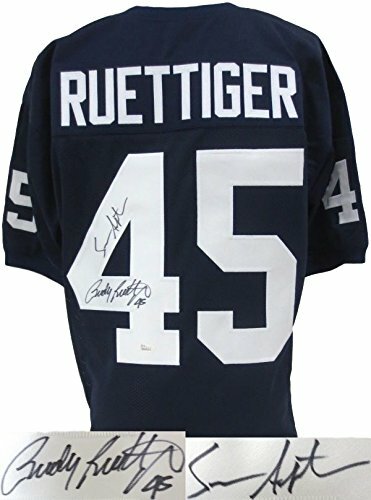 Featured is a dual-signed Rudy Ruettiger & Sean Astin Notre Dame Fighting Irish custom jersey. This jersey was hand-signed by Rudy Ruettiger & Sean Astin. The JSA witnessed hologram with matching certificate of authenticity is to authenticate the Rudy Ruettiger signature. The Sports Integrity hologram and matching certificate of authenticity is to authenticate the Sean Aston signature. 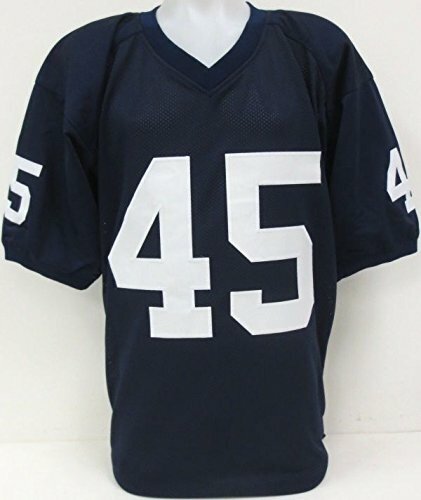 This is a jersey with sewn name and numbers, jersey size is large. This is a custom jersey and not to be associated with any league or it's teams. This is intended to be an autographed collectible.